Embracing a diverse workforce can help you win the talent war. Almost nine in 10 CEOs (85%) who have implemented a diversity and inclusion strategy have witnessed a positive impact on their organization’s bottom line and culture, a global CEO survey by PwC showed. To make the most of D&I, however, HR leaders need to understand that building a diverse workforce is only one part of the equation. The real challenge is in transforming the workplace into an inclusive environment using technology. “Diversity is everyone is invited to the dance party. 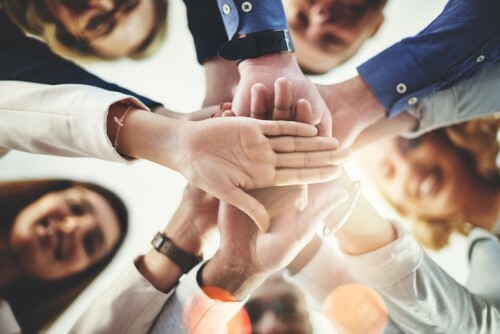 Inclusion is everyone is invited to dance in their own unique style,” Tamara Phillips, global director at SAP SuccessFactors, told HR Tech News. A good D&I strategy starts with inclusive onboarding and learning; “looking across your workforce to sort out who’s promoted and rewarded and how people are paid;” and examining tenure and attrition rates. Without the right mindset and the right tools, talent management decisions can be tainted with bias. Phillips is in charge of helping organizations “identify and reduce unconscious bias” through Business Beyond Bias solutions. These include “photoless” employee assessments; job analysis tools that scan and suggest replacements for gender-biased language; and salary analysis tools that use the power of machine learning to recommend the best pay packages. While bias may be inherent in the way humans assess the world, organizations can turn to technology to help catch instances where bias may occur, Phillips said. Data, analytics, and machine learning can help HR and business leaders pause when making decisions regarding their employees. “To manage talent and the concept of unconscious bias, we really need to look at the entire employee experience, from who applies, to who we’re hiring, to who we’re managing,” Phillips said. Could this rapidly growing tech stop CV cheaters?